Initial chest radiograph shows a portcatheter inserted in the superior vena cava. 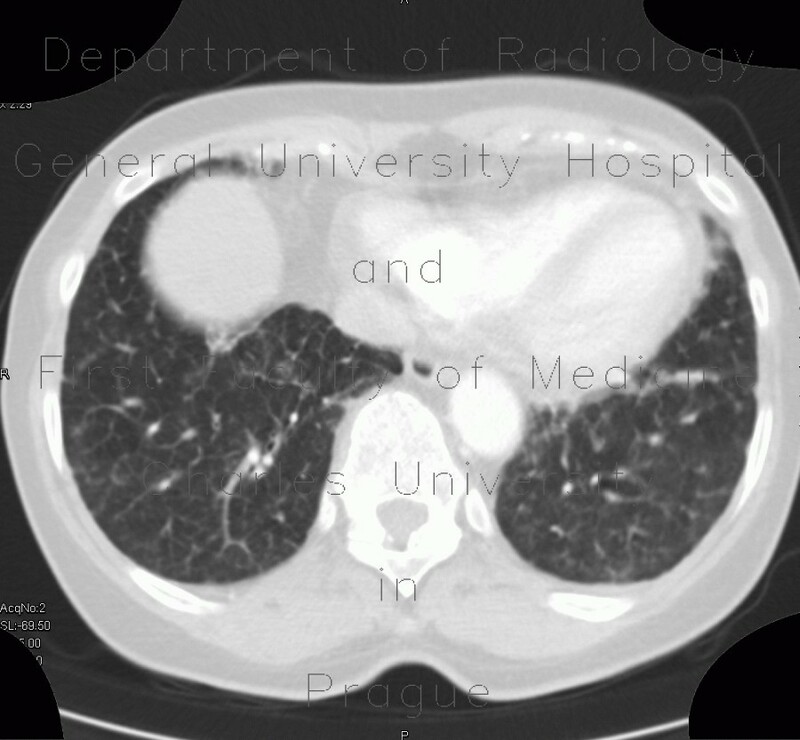 In comparison, the follow-up images show marked increase in lung markings especially in the right lower lobe due to thickened interlobular and axial interstitium. Note also osteolytic changes of the left shoulder blade.